…which is just a smart-arsed, attention-seeking way to get your notice to two projects I’ve been tinkering with of late. Probably due to spending a lot of time on the course of the old Carlisle and Silloth railway whilst going about my working day, I’ve fostered a growing interest in the route which alternates between snaking and poker straightness along the strange and beautiful Solway Plain of North Cumberland. One of the staple machines of the line in the LNER and British Railways era was Gresley’s J39 class locomotive. An everyday sight on the line from about 1930 until 1962, locos from this class worked out of Canal Depot in Carlisle. This bunch also worked out to Langholm on mixed traffic, Alston on goods and even as far as Hawick on occasion. 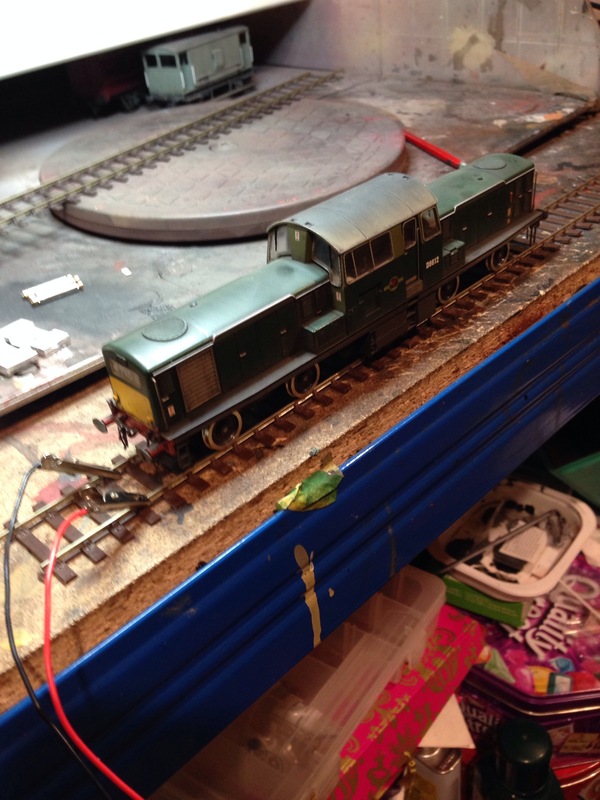 With that in mind, this chassis is in the process of being prepared to go under an old surplus Bachmann J39 body. 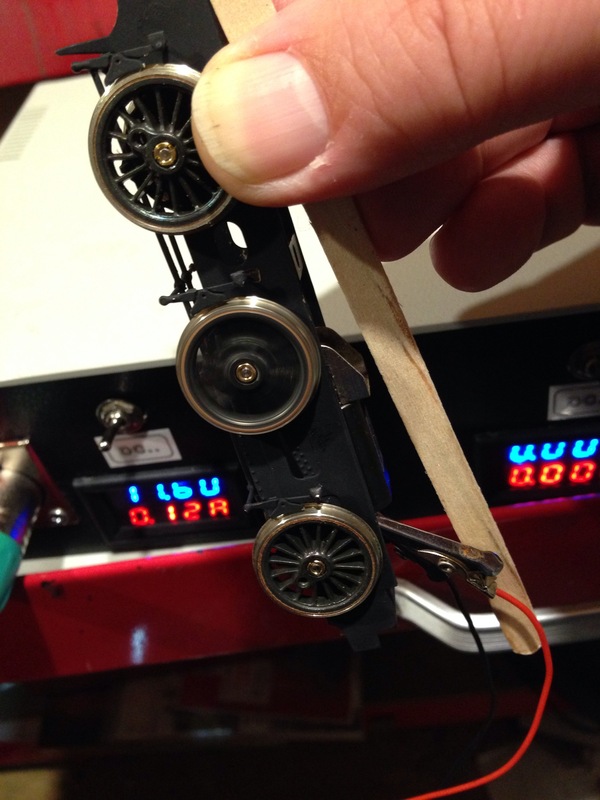 The chassis itself is Comet with Markits wheels, Mashima 1224 motor and High Level gearbox. Originally I intended to fit a 1424 motor but I fancied a less intrusive motor in this instance so as not to project into the space under the boiler. In fact, given the prodigious efforts of this motor in my Jumbo, I’m pretty sure it’ll be pretty happy in this application too. Testing, so far, has been successful and when time (surprisingly limited at present) permits, I’ll get the chassis rodded up, pick-ups fitted and ultimately off to Glasgow for testing on Wharfeside. The chassis is a basic effort in this instance, being rigid without compensation or springing. Additionally, I’ve converted my second Heljan Clayton to EM with another set of Ultrascales. Whilst there’s up to a six month turnaround on orders for these wheelsets, they are undeniably worth the wait and a drop-in fit. 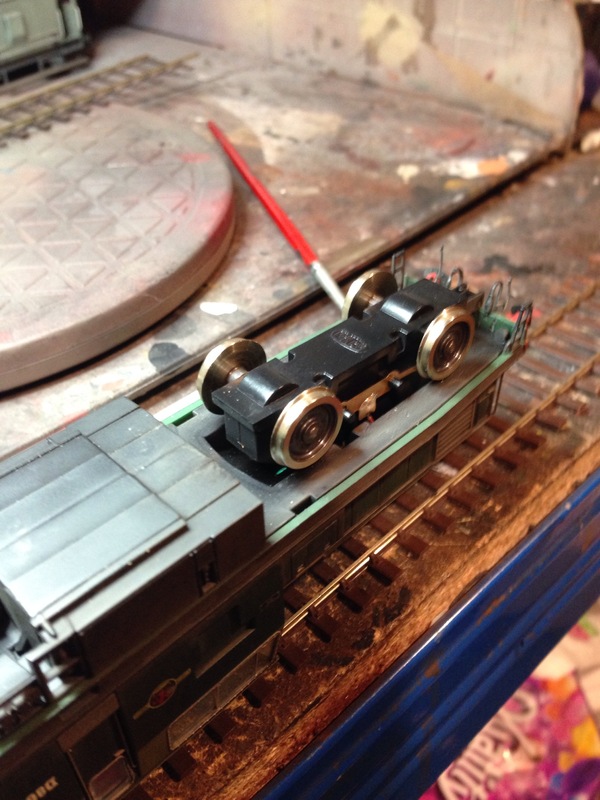 One thing to note if you’re doing this particular gauge conversion is the fact that brass collars are provided that fit over the mounting lugs for the cosmetic bogie side frames. 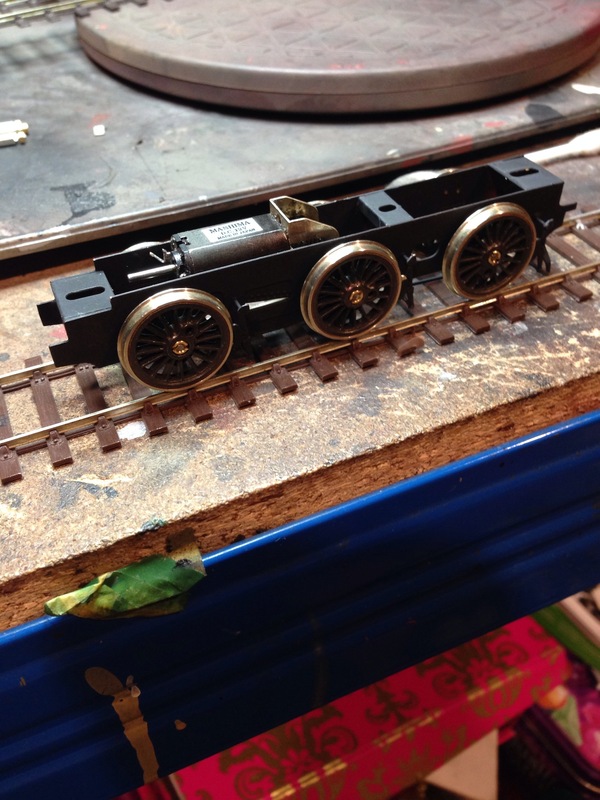 However, whilst these allow for sufficient clearance between the wheels and frames, you will need to secure the frames with epoxy or the like as there is insufficient length left on the lugs after fitting the collars to provide a solid interference fit. 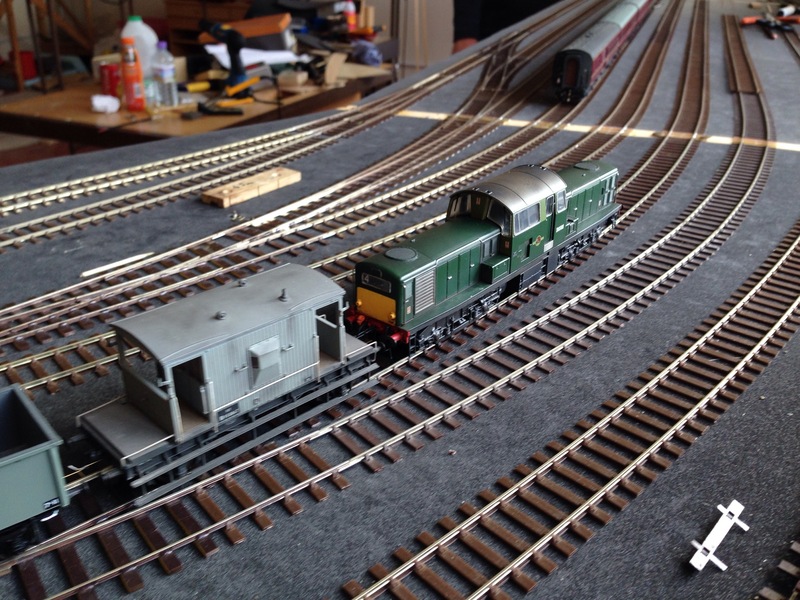 They run well though, as the pictures of the first conversion under test on Wharfeside demonstrate. Peter, I used a Roadrunner Plus with a 50:1 gearset. Worked well with the Jumbo. I was going to ask the same thing about the J39. 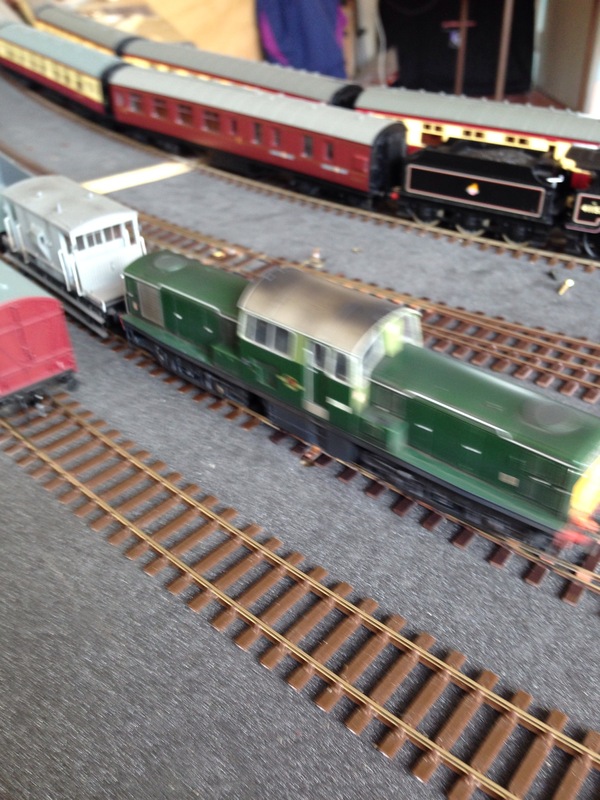 A J39 eh, that’s a loco that could work on Wharfeside…. look forward to seeing what you’ve done to it.